You see the friendly faces of Edgewood staff every day. You watch them share laughs with residents, update family members on their loved ones' care plans and lead fun group activities. While nurses play an active role in the daily routines at senior living communities, their duties don't stop there. What they do behind the scenes is just as important. Read on for an inside look at how Edgewood nurses are reshaping senior health care with the Medication Reduction Program. What is the Medication Reduction Program, and why is it important? Vice President/Chief Nursing Officer of Edgewood Management Group Michael Johnson, RN, provided detailed insight about this initiative. Though the Medication Reduction Program involves an intricate strategy to optimize Edgewood residents' health and quality of life, the main goal is to reduce the number of medications seniors take. Of course, there are some prescriptions that are necessary for senior health, Johnson explained. For example, residents with diabetes may require the use of insulin to safely manage their blood glucose levels. As such, the aim for this initiative isn't to force residents out of taking needed medications. Rather, it's to see if the drugs' purposes overlap, whether the side effects are inhibiting seniors' quality of life and if the medications are all absolutely necessary. The use of four or more medications can increase risk for falls in seniors. 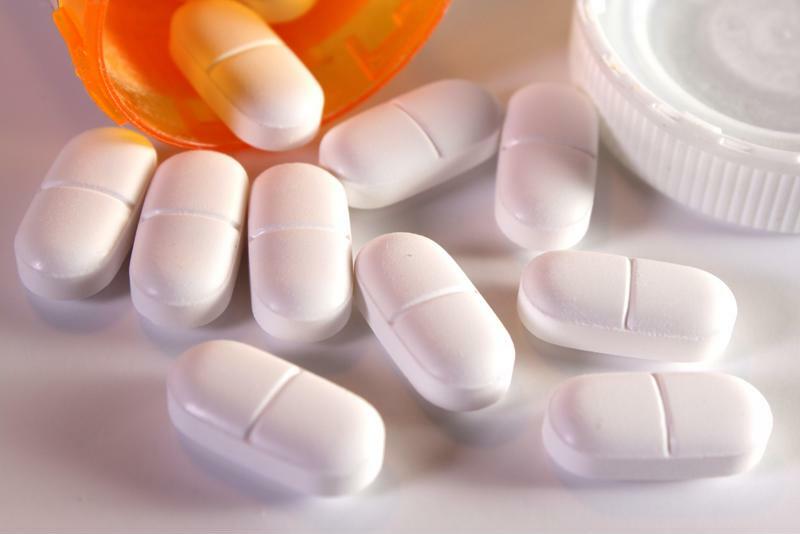 Edgewood residents were taking an average of 12 medications daily. Some of the most common side effects of medications are gastrointestinal issues and dizziness. These may cause other health problems such as unintentional weight loss or difficulty with balance. Seniors are more susceptible to declining vision, hearing and memory loss, which can make managing medications and adhering to instructions more difficult. Thus, there's a higher risk for misuse. Many seniors see more than one doctor. As a result, communication about what medications they are taking can be a challenge for physicians. Balancing multiple medications can be challenging for seniors, and it comes with risks. Edgewood staff meet with residents and their family members or legal representatives. Together, they review all medications including prescriptions, over-the-counter drugs and nutritional supplements. Staff members work as a liaison between residents and medical professionals to ensure all medications are appropriate, necessary and up-to-date. The ongoing assessment may involve reductions, additions or changes to medication regimens. However, the decisions are ultimately up to residents and their care providers. In 2013, Johnson convened with the quality assurance and risk management teams to tackle the problem of falls in seniors. After all, a third of adults ages 65 and older experience a fall each year, according to the Centers for Disease Control and Prevention. The group determined that the sheer volume of medications seniors take may be at play. By looking at residents' medication regimens, they found that many seniors were taking several prescriptions for a single condition, and their treatment plans involved an astounding average of 12 medications per resident. Quality assurance selected an RN from each state in which there is an Edgewood senior living community to meet and discuss the topic. Deemed the Medication Reduction Committee, the team of nurses communicated about what these statistics meant to Edgewood staff. Everyone wanted to reduce the number of resident injuries as a result of falls or medications, but how could that be achieved? The potential answer: the Medication Reduction Program. Though separated by distance, the Medication Reduction Committee meets on a regular basis and communicates through emails and phone conversations. Through this method, they are able to continuously reevaluate the Medication Reduction Program strategy, determine their progress and review for possible modifications to their plans. Edgewood staff is dedicated to enhancing residents' quality of life. Through its efforts, the Medication Reduction Committee has seen a lot of success. Johnson specified that some communities have reduced overall volume of medications by 80 percent. Particularly notable, a memory care community in Nebraska managed to cut the average down to 5.2 medications per resident. On October 1, 2015, the committee is launching a medication reduction campaign targeting Edgewood's memory care assisted living communities. The marketing team has developed posters and pamphlets designed to educate residents' family members and legal representatives about the importance of evaluating loved ones' medication regimens. The goal is to reduce medications to six or less per senior. "This should not be just an Edgewood thing." The efforts of the Medication Reduction Committee are being recognized well outside Edgewood communities. Johnson explained that he has received several invitations to speak about this initiative. He's also had multiple requests for the committee's information on the data, including from a senator's office. In fact, he's spoken at a conference in Madison, Wisconsin, for chief nursing officers, nursing executives in assisted living and skilled nurses, rotary clubs as well as at the University of North Dakota College of Nursing. "It's a really good clinical standard of care and has become a best practice," Johnson explained. "This should not be just an Edgewood thing." Johnson went on to say that the committee is continuously looking for opportunities to expand this program, and the data will point the team in the right direction. The group wants to create more measurable outcomes for the initiative, such as determining whether residents' weight becomes more stabilized as a result of medication reduction, and how their overall quality of life is improved.